‘Editor’s Notebook’ with Diana Mosher: Will Shipping Containers Help Modular Multifamily Construction Take Off? 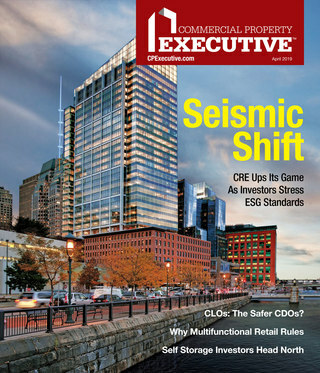 When I joined Multi-Housing News seven years ago, green building practices were commonplace in the commercial real estate realm but not so in the apartment industry. It didn’t take long for multifamily to catch up and we’ve been covering the industry’s green successes—including, but not limited to, LEED projects—in our bi-monthly MHN Green Building and Design newsletter. 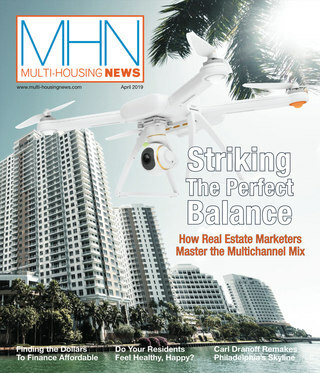 I encourage you to subscribe to stay abreast of how the multifamily sector is incorporating sustainability. One of the most interesting trends to watch these days is the use of retired shipping containers in the modular construction process. An estimated 21,000 shipping containers arrive in the U.S. every day. Many originate in China and are only used once on their maiden voyage to the U.S. because it’s cheaper to continue building new ones than to ship them back for reuse. According to port authority data, over 700,000 used containers are stockpiled on prime waterfront real estate without a significant purpose or method of disposal. They are an abundant—and under-utilized—resource. But in the spirt of “reduce, reuse, recycle” these containers are being given a new role as modular construction building blocks by real estate developers and their design teams. In Amsterdam an entire container village—Keetwonen”—was built by Tempohousing. The idea is also taking off in the U.S. Three Squared is just one developer we’ve heard of that’s seizing this opportunity. According to CEO Leslie Horn, Three Squared is using the containers, which are built of steel and wood, as the primary framing material for new construction. They are stackable, durable, versatile, widely available and code-friendly. With a price tag as low as $900 each (used) or $6,000 (new), containers are also economical. Their modular design makes additional construction as easy as stacking more containers up to 12 high. And the interlocking mechanism of the containers facilitates mobility. Structures made from shipping containers can be easily disassembled, moved and reassembled. Three Squared is breaking ground in Detroit this spring on Rosa Parks Condo Complex, a 20-unit, four-story project constructed from 93 shipping containers. Designed by architect Steven Flum, the energy efficient condos will be outfitted with ductless heating and air systems, tank-less water heaters and other energy saving amenities to reduce energy costs by 80 percent. The project has been financed with a $603,000 tax credit. What are you hearing about shipping containers and the multifamily construction process? Would you ever incorporate them into one of your apartment development projects?